The Indian think tank has confirmed a 13-member squad for the fourth and final Test on their tour of Australia. 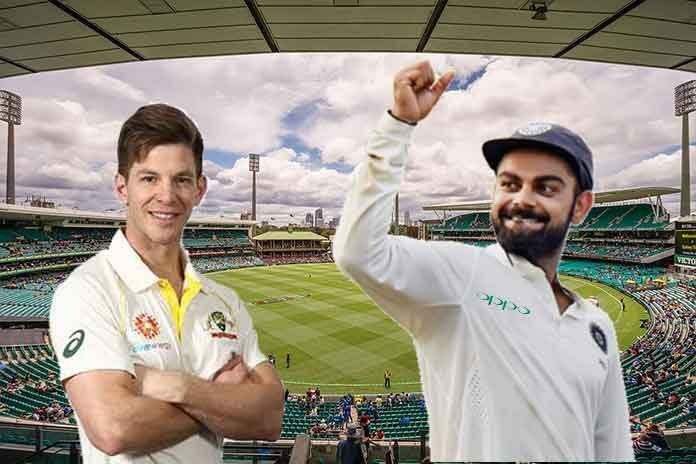 The match starts at the Sydney Cricket Ground tomorrow (Thursday). Star spinner R Ashwin, who performed admirably in the first Test returning the figures of 6 for 149 at Adelaide, is back in consideration. He figures in the 13-member list and so does Kuldeep Yadav. However, a final decision on Ashwin and Yadav will be made before the toss. “A decision on R Ashwin’s availability will be taken on the morning of the Test,” the Board of Control for Cricket has confirmed on its official Twitter handle @BCCI. Rohit Sharma has left for India to be with his wife and newly-born daughter. The India’s most experienced fast bowler Ishant Sharma has been replaced by Umesh Yadav for the final Test. The tall speedster is rested after he expressed a “rib cage discomfort”. India (from): Virat Kohli (C), Ajinkya Rahane, KL Rahul, Mayank Agarwal, Cheteshwar Pujara, Hanuma Vihari, Rishabh Pant, Ravindra Jadeja, Kuldeep Yadav, Ravichandran Ashwin, Mohammed Shami, Jasprit Bumrah and Umesh Yadav. The fans can catch all the action LIVE on Sony Sports cluster channels. The match will also be streamed live on the SPNI OTT platform SonyLIV. The LIVE broadcast will start at 5 am India Time on all match days. India lead the four-Test series 2-1. The match will be live on Sony Ten 3 and Sony Six with English and Hindi commentary.